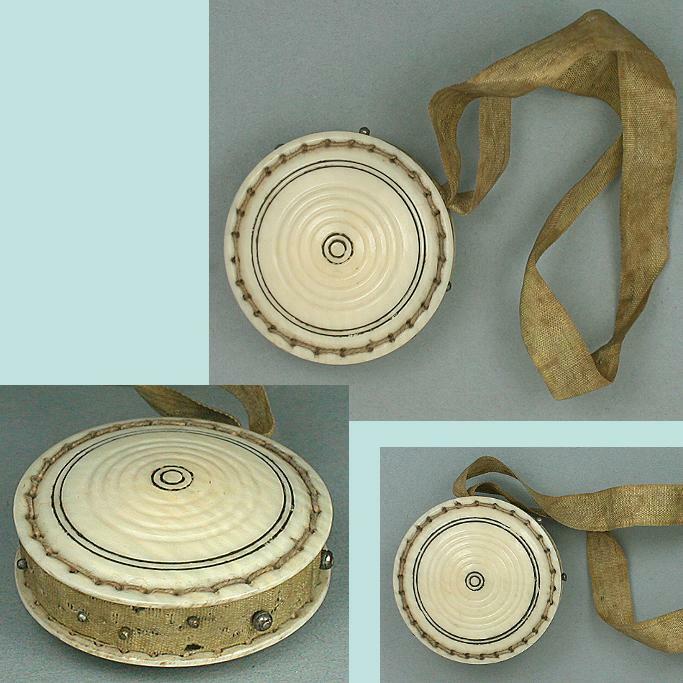 This antique carved ivory piece is a pin cushion in disc form. This allowed the pins to be pushed flush into the sides so it wouldn't snag other items in the work bag. The cushion around the sides is silk and is stuck with some old hand made steel pins. 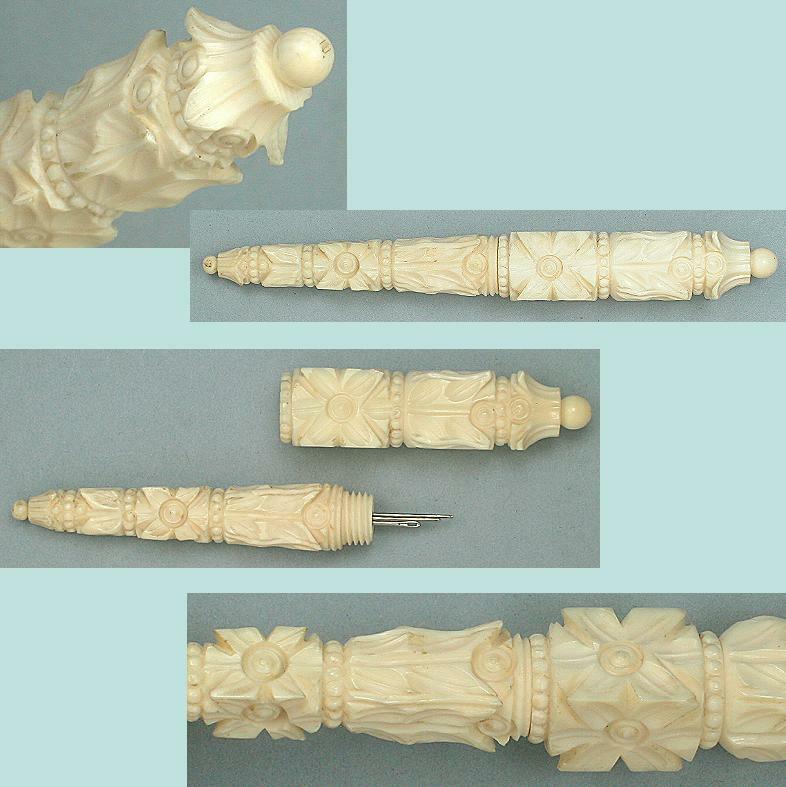 Both sides are carved with concentric circles and black scrimshaw style inking accentuates the center and border. The condition is excellent with no chips, cracks or other damage. The silk cushion is intact and original. It measures 1 1/8" in diameter and has a silk wrist loop on top. The ivory grain pattern and patina are lovely.